Quality construction. Luxurious features. Spacious rooms. Intuitive layouts. Cost Efficient. The Elements Series has all the elements of home. This line of affordable home models ensures that you and your family enjoy comfort, beauty, and savings year after year. Featuring soaring ceilings, elegant colonial detailing, and tile floors in the foyer, bathrooms, utility room, and kitchen, these homes welcome you the second you walk in the door. The Element Series homes are a chef’s dream. The gourmet kitchen offers wood cabinets, Energy Star-rated appliances, a gorgeous range with ceramic glass cooktop, a Moen faucet, and a spacious pantry. 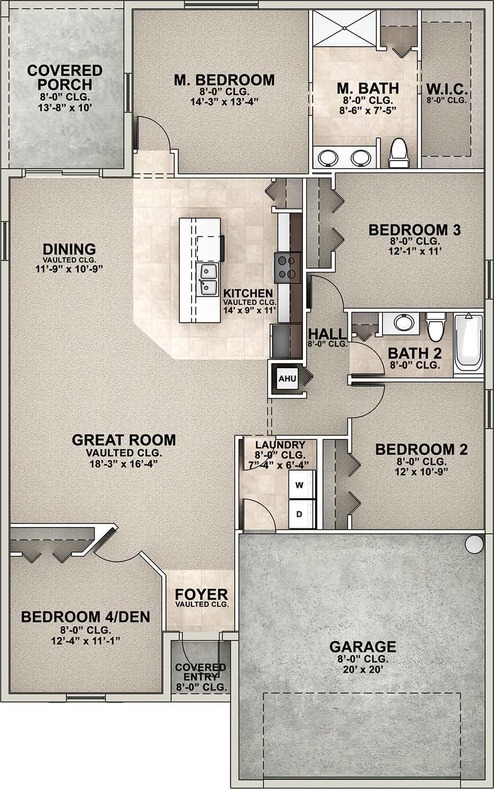 Each of these cost-efficient model homes is equipped with two baths. You will find raised-height wood vanities with full-width mirrors, high-quality tile flooring, Moen fixtures, solid countertops in your choice of colors, a walk-in shower, and a water-saver commode. Affordable home models need to meet your initial price range, as well as your ongoing operation and maintenance budgets. The Element Series will deliver efficiency and savings for decades, enabling you to recoup costs and build value over time. 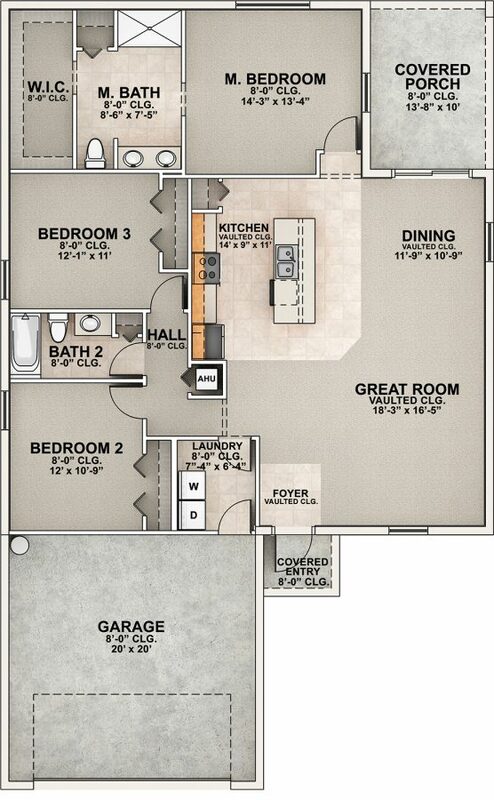 The Element Series models are the most cost-efficient homes in our portfolio of new home designs. Browse our new home gallery to get a sense of which Florida new home models are right for you. As it is with all Synergy Homes’ cost-efficient model homes, no corners are cut in terms of design or construction. These models meet all Florida Building Code requirements; they are professionally engineered and built to withstand hurricane-force winds. Every detail – from the steel-reinforced, monolithic foundation with vapor barrier and 2500-psi concrete to the 30-year shingles and exterior wall insulation – is designed to create a home that not only lasts, but also continues to save you money. Welcome to the Element Series; welcome home.